I saw a photo of Earth where the author claimed the photo was taken from the Hubble Telescope. That irked me, because to take photos of the universe, the Hubble needs a very narrow field of view. 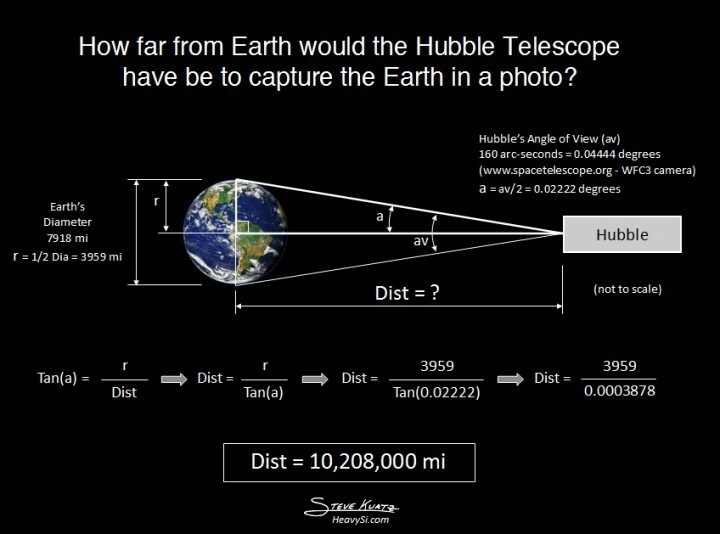 If we were to point Hubble at Earth, we’d see only a small fraction of the surface. That got me wondering – how far from Earth would Hubble have to be to get a picture of the whole Earth?